Be sure to subscribe to our season on our podcast page here! Please find the link to the worksheet for identifying your skills, interests and values here. You may also refer to http://myidp.sciencecareers.org/ for more information. 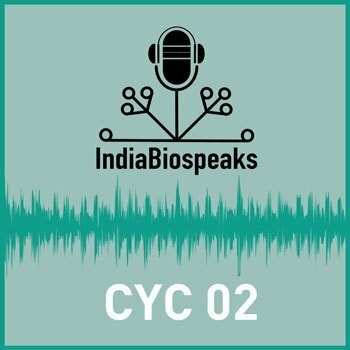 Hello and welcome to IndiaBiospeaks, a new podcast series by IndiaBioscience, where we are going to bring you the latest news, opinion and discussions on life science research and careers in India. In our last episode, we discussed the ecosystem of science careers in India. We spoke about the various career options for a student of science, we also talked about what you actually gain from a degree in science. In today’s episode, we are going to dig a little deeper. We will discuss how you can actually figure out which of these many career paths you, as an individual, may be best suited for. For this, the first step is to introspect, to get to know yourself a little better. This what we are going to talk about today. It can be tempting, when you are at a crossroads in your career, to jump right into the job-search process. You may want to begin by looking at as many career options as possible, and you may think that when you see the ‘right opportunity’, you will ‘simply know’ that it is right for you. I agree Smita. The things we value in life, the ideas that inspire us, and the skills we bring to the table are different for each of us. And so, which career options will allow us to live up to our potential will depend each one of our unique values and capabilities. What do we like doing? Let’s begin with skills. Skills are basically the talents we are born with, plus the things we acquire along the way, correct? Right Lakshmi, that is the gist of it. Skills are the competencies that you have gained over the course of your career or your education, coupled with any talents that you may naturally have. Now, I have often seen that when asked to make a list of all the skills they have, students or in fact most of us tend to hesitate. It is a very common feeling to underestimate yourself, to doubt whether the knowledge or abilities you currently have actually qualify as ‘skills’, or even if they do, what is the best way to express them when you are looking for a job. That’s true. In fact, the first thing you often think about when you are asked “what are your skills”, are the techniques you may have learned in the lab. And sometimes you come up with ‘Oh, I can pipette really well’, or ‘oh I can run five SDS-PAGE gels in a day’, which is great, because technical skills are definitely important, but there are several other skills that you may have gained in the course of your research or your studies that are equally important for professional success. And therefore, you need to be aware of them. Very true. If you have ever carried out a research project, you likely have analytical skills. You know how to design experiments, how to analyse and interpret data. You know how to look up and understand scientific literature. You are probably also skilled at sifting through large volumes of information to filter what is relevant. Project management and time management skills are also very valuable. All of the minute planning that goes into executing a successful series of experiments, all of the deadlines that you’ve met - there are all skills that you can apply in many different spheres of your life. Other than this, you may have given scientific presentations, presented posters, volunteered at outreach events, all of which point towards communication skills. And of course, there are creative skills - You may be a talented writer, or a painter, or trained in some performance art like dancing, singing or even theatre. Never dismiss these as irrelevant, as they can sometimes come into play in some very unexpected ways. I completely agree Shreya. And there is another category of very important skills that we don’t talk about very often, which are interpersonal skills. Many of you have experience in setting up and maintaining professional relationships, with your colleagues and your advisor. You may have mentored your juniors, set up new collaborations, or resolved conflicts in the lab - all of which are very important people skills that give you an advantage in professional environments. If you are having trouble coming up with a list of your personal skills, it may be useful to jog your memory and write down some of past accomplishments. Maybe you received an award for something, or perhaps you finished a difficult experiment. What were the skills that allowed you to do this? Now, it is important that you take a piece of paper and actually write all of this down. In the description area of this podcast, we will also link a few places where you can download and get a list of common skills which you can then print out and maybe tick off with a pencil. This exercise will also help you identify areas you would like to build skills in, or areas where you would like to improve in order to move forward. And remember that based on your interests and values, the same skills can be used for very different purposes. This is the whole concept of transferable skills - basically skills and abilities which you gain in one environment, but basically, these can be applied equally effectively in another. Very true, Smita. So, now that we have talked about skills, what about interests? Why is it important to consider these? You see Lakshmi, you may be working on the most exciting project in the world, or you can be really skilled at a particular line of work, but if you don’t enjoy doing it, you will never gain true satisfaction from that piece of work. And it is unlikely that you will remain motivated enough to continue giving your 100%, even if technical aspects of it come to you easily. So, objectively assessing your interests, and once again, making a list on a piece of paper, help you understand what motivates you, personally. For example, you may be someone who really enjoys building something with your own hands. Or someone who enjoys being outdoors. Or perhaps you really like meeting new people, forming new acquaintances. Or you like organizing things, making plans, reading about new things, or working with gadgets or electronics. One easy way to figure out what interests you is to recollect what kind of activities make you lose track of time? What are the activities that you do for yourself, and not necessarily for a paycheck. You can also look back at the extracurricular activities and volunteer activities that you have participated over the years. What drove you undertake these? Which ones have you enjoyed the most? Or you can ask yourself - out of all your accomplishments, which have been the most fulfilling? What brings you happiness? Now, not everything you enjoy doing must be a part of your job. Some will remain as hobbies, some you may pursue in your free time, or on the side. But it is important to have at least a few things that you really enjoy align with your professional ambitions. Because interest is what keeps you engaged in the long-term, it helps you get through the difficult periods. That sounds like a good idea Shreya, Now, what about values? How are they different from interests? Well, while your interests are things that bring you pleasure, values are what give you a sense of purpose. In general, core life values can be things like honesty, integrity, reliability, flexibility, compassion, accountability, tolerance, loyalty etc, and for each of us, there is a combination of such values that give our life meaning. Similarly, work values are what gives you satisfaction in a career role. And once more, this is different for each of us. Thanks Smita. I think, some things to consider here are - what type of work environment do you prefer? Do you like to work in teams or would prefer working independently? Would you like to have supervision and support or do you enjoy solving problems on your own? How important is work stability and job security for you (or) are you comfortable taking risks? What sort of compensation and benefits would you like to have? And note that there is no ‘right’ or ‘wrong’ answer It’s up to each of us to figure out what we prefer. Exactly. Some would thrive in organized environments with a set routine, while others would prefer a more unstructured environment with more day-to-day variety. While one person may like a fast-paced, deadline-driven environment, another may like a more sedate environment with flexibility and freedom for exploring. And each of this is fine, so long as you are thinking carefully about what you need. And it is important to realize that very rarely will it happen that if you have a list of twenty such work values, all of them will be satisfied by your current job. So, while you are noting down your work values, make sure to decide their priority in your life. You need to carefully think about what you CAN and CANNOT compromise on - what are the things that you absolutely need from your work-life, versus the things that would be nice to have, or would be good to have. So once you have done this exercise, you will have a list in front of you - of your key skills, main interests and core values. Yes. The final step should be to summarize these on a sheet of paper. Then, when you start researching career options, you can make sure you have this sheet of paper in front of you, and mentally try to fit each option into these themes, to see how well it matches your needs. We hope you will find this exercise fun and useful. In the description section of this podcast, as we mentioned before, we will link to a few places where you can download lists of skills, interests and values. You should also check out myidp, which is a tool by Science Careers, that allows you fill out your skills, interests and values in an online form, and then uses an algorithm to show you which are the career paths that you match best with. So, this brings us to the end of this podcast. To all our listeners, thanks for listening. We would love to hear your thoughts and suggestions for things you would like us to cover in this series. You can either leave a comment on our podcast page, or write to us directly. In our next episode, we will take a few real-life examples, to see how skills, interests and values have played a role in determining the career paths of some of our friends and colleagues. So until then, thanks for listening, and do subscribe for future episodes on ‘Crafting your Career’ in science.